Turns one rumored new restaurant at Northtown Mall is actually true, but it's not The Cheesecake Factory ( well, at least not yet ). We had heard from numerous sources that some of the newly renovated North side of the Mall would house and Outback Steakhouse. And, now thanks to a pending building permit with the City of Spokane, we can say Outback is in the works for Northtown. This new restaurant will actually be what appears to be a hybrid of sorts for two restaurants brands. Outback Steakhouse will share kitchen space with a new Bonefish Grill. Bonefish Grill is another restaurant brand of Bloomin' Brands which owns Outback, in addition to a handful of other up and coming restaurant chains. Bonefish Grill is growing chain that features primarily seafood and American menu items. 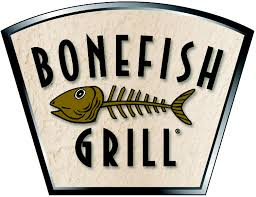 Bonefish Grill operates around 160 locations and is headquartered in Tampa,FL. This would be the Spokane area's first Bonefish Grill location and we don't have an opening date or news on how many new jobs this new restaurant will create. Watch for update posts for this news as we get it. As mentioned before, this is a sort of a hybrid restaurant with a combined kitchen for both Bonefish Grill and Outback Steakhouse. But the dining rooms will be separate with the total amount of space used by the 2 restaurants being around 8,600 +/- square feet. This is the latest update on the newly opened renovations to the north side of Northtown Mall. A new Buffalo Wild Wings was added in the new space and is now open, in addition a new second location of Urban Blends Coffee Shop is also in the works for this section of the Mall.